For me awards are just like chocolates . Whatever be the mood the chocolate is pleasing to the mouth disconnecting us from all our feeling but bliss. Well the ABC award was a surprise it was pleasing. It felt better and I am basking on it. I should thank Nilu A for the award. She is creative with the recipes and has a lot of variety. I should also thank Indiblogger, because of which I found her blog and I am able to hone my cooking skills. 1. Add the ABC logo to your new blog post. 2. Write one word or a phrase about yourself that begins with A, B, C, etc. 4. Leave a comment on those blogs to let them know! A- Z facts about me!! Q – Quick at understanding anything. W – Work should be done with dedication. Thank you, Niranjan, for this pleasant surprise. As you say, awards are like chocolates - good for a refreshment. Niranjan Thank you so much Buddy. I am honored. Your welcome, you deserve it.. Thank you so much Niranjan!! This is such a pleasant surprise...m on a vacation...my first day and you've made it even more marvelous!! Congrats on getting this award...truly well deserved! your welcome.. you deserve it.. enjoy your vacation..
First of all, congratulations. The award is well deserved. Secondly, thank you very much for nominating me for the same. I'm glad that you think I deserve it from the multitude of blogs. Thirdly, I'd like to congratulate all those who have been nominated along with me. thank you Brendan. 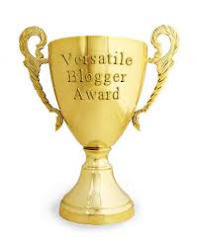 your blog deserves it.. keep up the good work. Your welcome. you surely deserve it. You can do the proceedings at your leisure. thank you and congratulations for the award. arent awards like chocolates,the mood changer?